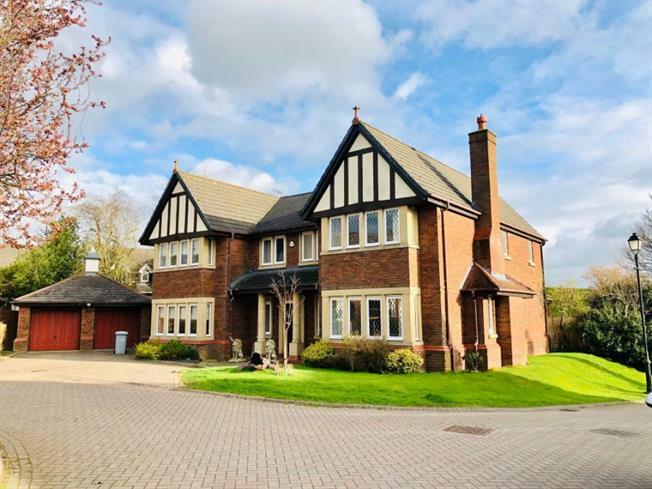 5 Bedroom Detached House For Sale in Knutsford for £750,000. Positioned in an exclusive development adjoining Pickmere Lake is this impressive five bedroom, four reception room executive detached family home. Located in the semi-rural village of Pickmere with idylic country walks on the properties doorstep. For the commuter, excellent access to the North West motoring via Junction 19 of the M6 providing a gateway to both the North and South. Nearby railway stations at Lostock Gralam, Plumley and Knutsford, along with Manchester International Airport are all close by. In the nearby historic market town of Knutsford and nestled amongst it's narrow cobbled streets, you will find a variety of shops catering for most requirements. There are a variety of individual shops, boutiques and a choice of restaurants, cafes, wine bars, and public houses to suit most tastes. There are also a number of notable golf courses situated close by and excellent public and private educational facilities for children of most ages.